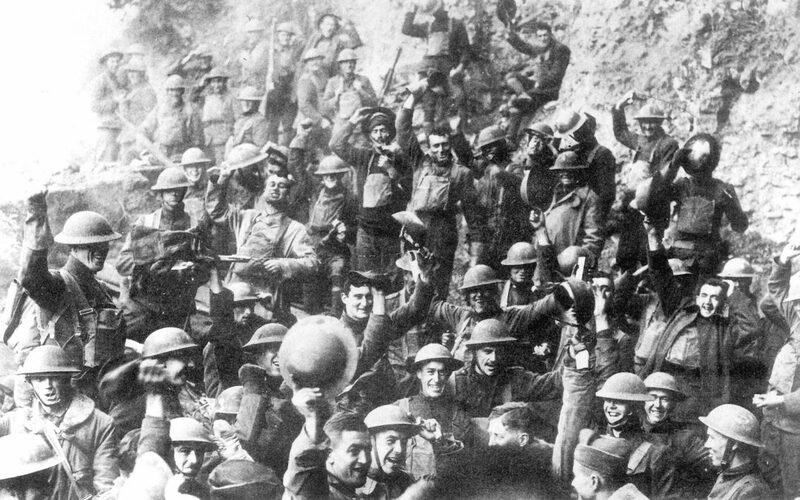 Nearly 100 years ago, hundreds of thousands of servicemen from multiple countries were waiting for “the eleventh hour, of the eleventh day, of the eleventh month” that would mark the beginning of an armistice in World War I. Some were still fighting until the last minute, some were waiting, but all would be affected by this moment. The … observance of Veterans Day [on] November 11 not only preserves the historical significance of the date, but helps focus attention on the important purpose of Veterans Day: A celebration to honor America’s veterans for their patriotism, love of country, and willingness to serve and sacrifice for the common good. Our veterans fought ugly battles so that we could continue to have the freedoms that we enjoy. Honoring our veterans helps us to remember the price we pay for those freedoms—and why patriotism, love of country and willingness to serve and sacrifice for the common good are still essential today. It’s easy to take our freedoms for granted—especially freedom of speech. Many Americans take to social media to call out, demean or harass those whose views differ from their own. Or just to state their opinion on something. At times, the climate can get downright mean and nasty. We forget that the ability to speak one’s mind, however offensive to our own sense of right or wrong, is a God-given right that not all nations enjoy. But a recent news story is a stark reminder of that fact. An American working in Zimbabwe was arrested and charged with tweeting “mean things” about that nation’s president. If convicted, she faces up to 20 years in prison for her tweets. Chilling, isn’t it? I now speak of one of the challenges that face us—the meaning and application of the vital constitutional guarantees that government authority shall make no laws or regulations “abridging the freedom of speech, or of the press, or the right of the people peaceably to assemble.” Those rights are fundamental to our constitutional order—not just to protect citizens against repressive government action but also to foster the cherished open society that is the source of our freedom and prosperity. Beyond that, the free exercise of religion is vital because it insures citizens the rights of worship and action that are fundamental to their being. A robust freedom is not merely what political philosophers have referred to as the “negative” freedom to be left alone, however important that may be. Rather, it is a much richer “positive” freedom—the freedom to live one’s religion or belief in a legal, political, and social environment that is tolerant, respectful, and accommodating of diverse beliefs. The question is, how do we protect these freedoms? This is where we turn to the example set by our veterans—patriotism, love of country and a willingness to serve and sacrifice for the common good. This citizenship, fueled by patriotism, is what led (and continues to lead) thousands of young Americans to enlist in the military. This sense of service and sacrifice—which our citizens have displayed so often in our history—is a key, I believe, to the greatness of this wonderful country. 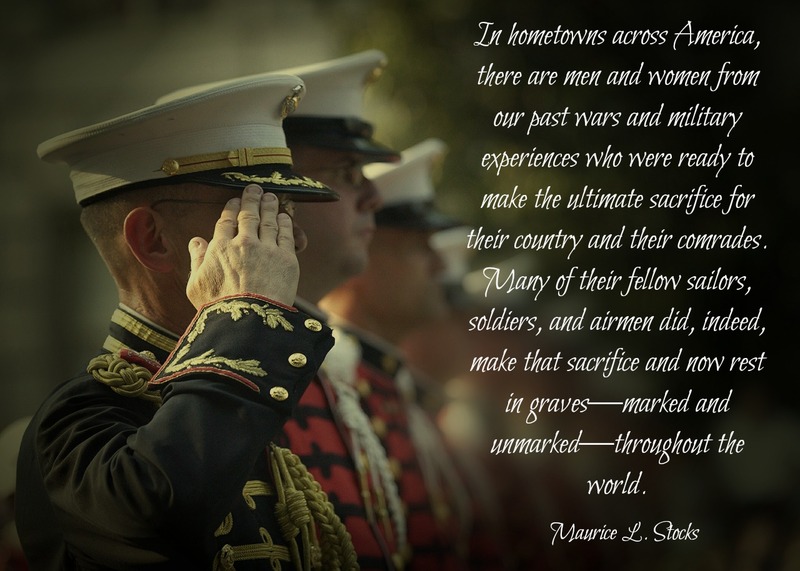 We may not be asked to pay the ultimate price, but we, too, can serve and sacrifice for our country. How do we do that? By standing up for what is right and being good citizens. We believe that not only are we accountable for our individual actions but that we are also individually accountable for the actions taken by our governments. This accountability extends both to “making laws and administering them.” Active engagement in the functioning of government and in addressing community concerns is an inherent responsibility of our citizenship and demands our best efforts. We are each accountable for the quality of governance in our communities and nations. But we are not asked to bear this responsibility alone. Our lives are interconnected with others’. Our capacities are enhanced and our possibilities expanded through cooperation and collaboration. Because of our shared responsibility and because we are so much more effective together than we are individually, as active citizens we must actively engage with others. I now speak to all those who are not of our faith. If there are issues of concern, let us talk about them. We want to be helpful. Please understand, however, that our doctrines and teachings are set by the Lord, so sometimes we will have to agree to disagree with you, but we can do so without being disagreeable. In our communities we can and must work together in an atmosphere of courtesy, respect, and civility. The only way that we can truly protect our freedoms of speech and conscience is to allow all voices to be heard in the public square—even those with whom we don’t agree. … Although the experience turned out differently from what I had expected, I had been willing to stand alone, had such been necessary. Since that day, there have been times when there was no one standing behind me and so I did stand alone. How grateful I am that I made the decision long ago to remain strong and true, always prepared and ready to defend my religion, should the need arise. 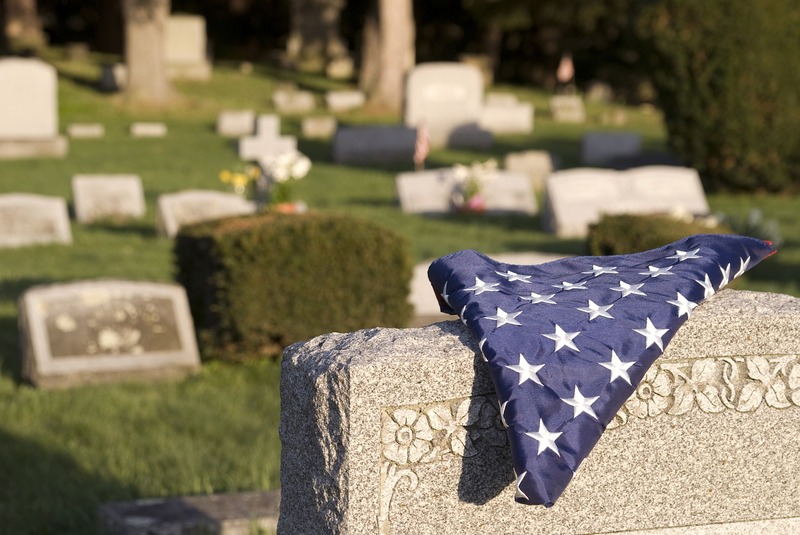 And as Americans, we honor the price they paid for our freedoms. Especially when we do our part to uphold and defend them.